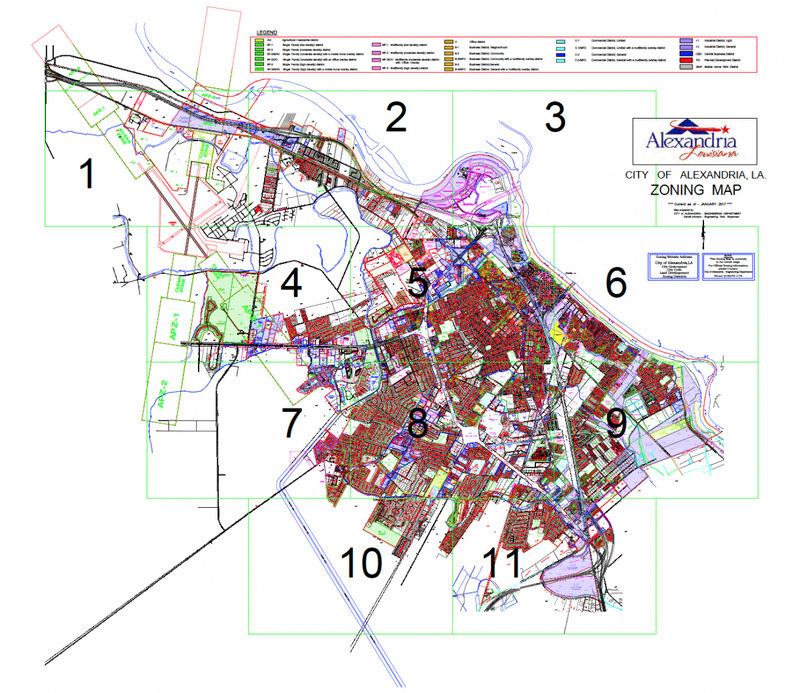 Click the links below to view each section of the Zoning Map (numbered above) in detail. 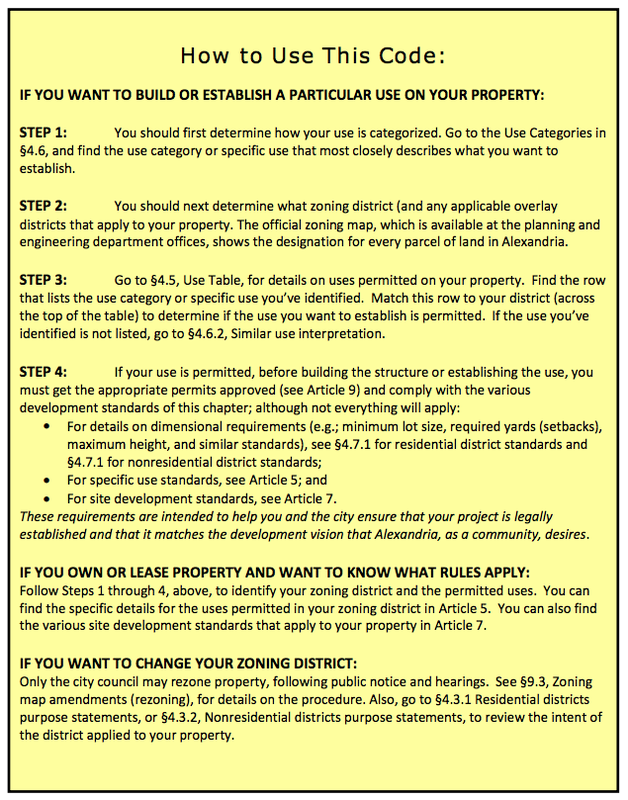 This map is intended to locate the property in question, and provide information about the Alexandria Zoning Code governing the use of the parcel. Please consult with zoning staff before making any binding decisions based on the information concerning a particular property. The property address is not a certified address for building purposes. No warranty is expressed or implied. For more information about a particular property, call the Zoning Department at 318-473-1373 or 318-473-1371.